This morning we spent a while trying to make up our mind about what to do with the day. The decision was a trip to The Hague, primarily, to visit the Mauritshuis gallery, the home of Vermeer’s painting “The Girl with the Pearl Earring” along with two of his other works, several good Rembrandts and a bunch of other great paintings. Getting to The Hague was a bit of a performance. The station at Alphen aan den Rijn, where we are staying, only has ticket machines and although they said they would accept VISA our c ards would not work. The ticket was about 13 euro each and the machine would only accept coins so we had to try some local shops for change which meant we missed our train. Good fun! On Mondays the gallery opens at one pm so we had a good walk around, there are plenty of good sights, and good cafes for tourists so a coffee stop was in order and we could not resist a piece of apple cake with cream. The gallery and particularly Vermeer’s work was more than worth the visit. It’s a smallish place, which adds to its appeal but it has a few outstanding works. I really rate Rembrandt’s self portraits and Vermeer’s “A View of Delft” but, for me the young lady above stands with the best paintings in the world. The gallery allows, non flash, photography so hence the pic above. Bicycles, as is to be expected, are everywhere here in Holland and we really like the variety of bikes in general use here. It’s common to see bikes with a very large bin in the front which is used to carry goods, two or more children or a dog or several. 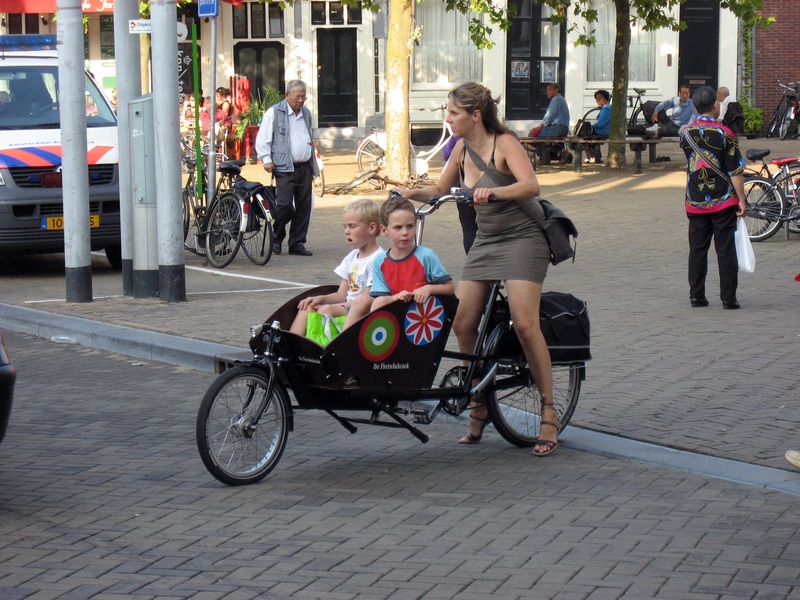 We’ve seen a model with a seat for a toddler mounted on the handlebars and a Perspex windshield for the child. In bike shops there are almost no mountain bikes or road bikes but a wide range of traditional bikes costing up to $4000. 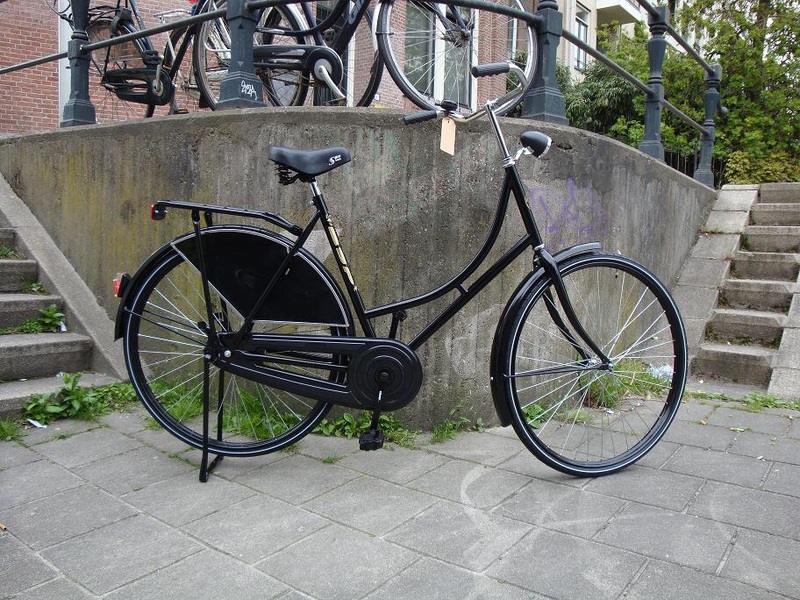 Outside one shop were several very old fashioned bikes advertised as Omafiets which translates as grandmother bikes. The Vermeer painting came through well.Wonderful to see these great artists’ work, that we only hear about. What an amazing adventure you both are having!